They say you can get it if you really want, but you must try and work hard. You succeed at last. Thats the way it goes not only in racing but in many other things. For us, in 2009 when the team was formed, winning an endurance race, let alone a 24 Hour race seemed to be a dream far away. Today after three and a half years we can pride ourselves of having suceeded. 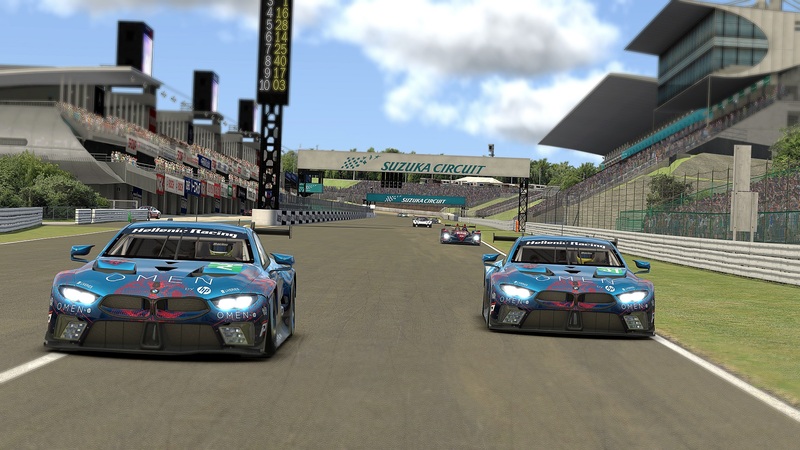 Kyoto was going to be the venue of the 24 hour race hosted by NDR in the GT1 World Series. Countless hours of practice had gone into preparing for this event, as is natural. K. Nestoras and Perrs showed a flawless pace, managing to climb up to first place in class by the 5th hour, having started in 11th. Favoured by a safety car period they were able to use for their advantage HRTeam’s FXR had a comfortable gap, still leading the race in an underpowered FXR. with more than 18 hours to go it was too early to celebrate of course. It was soon time for G. Alamaras and N. Koudourakis to take over. As the night advanced HR maintained its lead up to the point of having the entire grid wondering how the FXR was even capable of this performance. 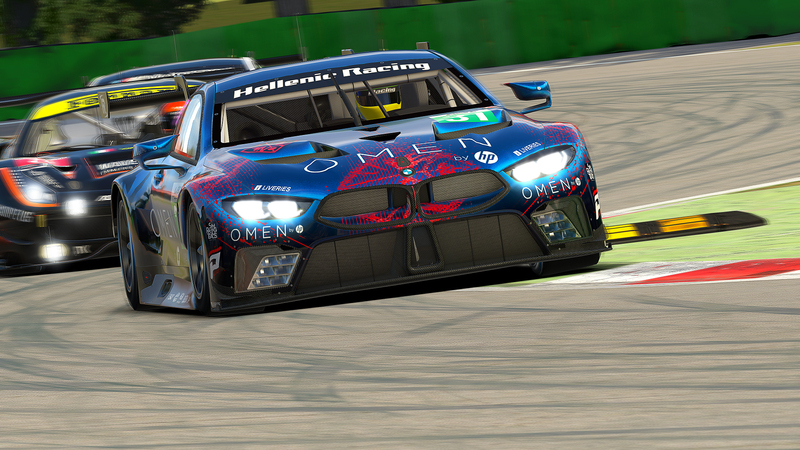 Technical issues are always a risk during endurance races and the late morning found the Hellenic Racing Team having to give up the lead of the race. Having gotten this far the team wasn’t going to give up. With less than 6 hours to go, K. Nestoras, V. Kazantzas and A .Perrs were faced with a challenge of having to close down more than 2 Minutes of a gap to regain the lead. In the background Alamaras, Giagias, Koudourakis and Panoulas would do everything possible to support their efforts. Lap for lap the gap to the first placed SBP car was shrinking and an epic battle was about to unfold. 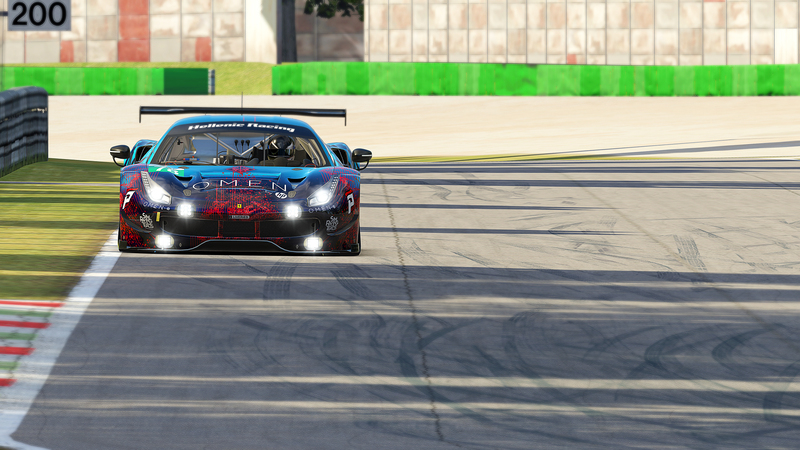 With the whole race venue holding their breaths and HR on the edge of their seats, Nestoras passed the SBP car after a seemingly endless battle in the last 15 Minutes of the race. At the end it was going to be enough, and after 24 hours of racing the two cars were only seperated by 4,76 seconds at the chequered flag. Describing the feelings related with a result like this is difficult. We would like to thank the organisers, all participants and especially Stig Breeding Programm for a good clean battle. Our gratitude is associated not only with the event itself but also with the kind words spoken about HR during and after the race. When we won our first 3rd place podium finish in an endurance race we used to say “the best is yet to come”. We rest assured that the best is still yet to come and will see you again in South City for the next round of the GT1 World Series.